By Sadiq Umar – Embattled Chief Justice of Nigeria (NJC), Walter Onnoghen, on Wednesday lost the bid to stop the Code of Conduct Tribunal (CCT), from proceeding with his trial over alleged non-declaration of assets. The Court of Appeal sitting in Abuja which Mr. Onnoghen had approached to halt the trial asked the CCT to proceed, declaring the matter before CCT as “criminal”. 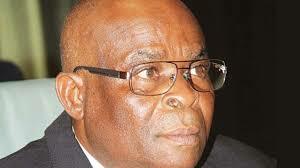 The suspended CJN had on Tuesday approached the Appeal Court, questioning the power of the CCT to try him. But giving its ruling on Wednesday, the three-man panel led by Justice Abdul Aboki at the Court of Appeal explained that the case against Mr. Onnoghen was on criminal charges and that it had no such right to stop it. The court added that not enough evidence had been provided to grant the stay of execution. It therefore dismissed the motion Mr. Onnoghen filed for stay of proceeding. “A court has inherent jurisdiction to grant stay of proceedings where it is certified that enough evidence has been given for such,” Mr. Aboki ruled. The court has therefore adjourned till February 4 when it will continue with the probe of the authority of the CCT to try him. Mr. Onnoghen is standing trial at the CCT over alleged non-declaration of assets. President Muhammadu Buhari had last Friday suspended Mr. Onnoghen and replaced him with Justice Tanko Mohammed who is now acting, citing the CCT order. Mr. Onnoghen has also gone to court to challenge his suspension. Also, joining in the controversy, the Senate has gone to the Supreme Court to determine whether or not the action of the president in suspending Mr. Onnohen was a usurpation of the power of the legislators.